CHILLIWACK, BC – Old Yale Brewing has announced the release of the latest edition of its semi-annual sampler package. 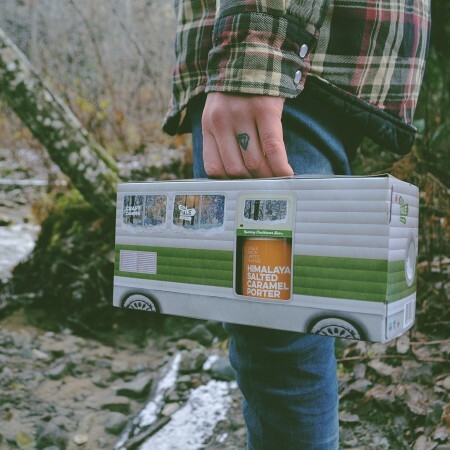 The Craft Camper Variety Pack for Winter 2018-19 is an 8-pack of 355 ml cans, featuring two cans each of established year-round brands Knotty Blonde Ale (5% abv) and Off Trail Pale Ale (5% abv), the recently launched River Valley Amber (5% abv), and the seasonal Himalayan Salted Caramel Porter (6%). The Winter Craft Camper Variety Pack will be available at the Old Yale tasting room and select private liquor stores in British Columbia until next spring.